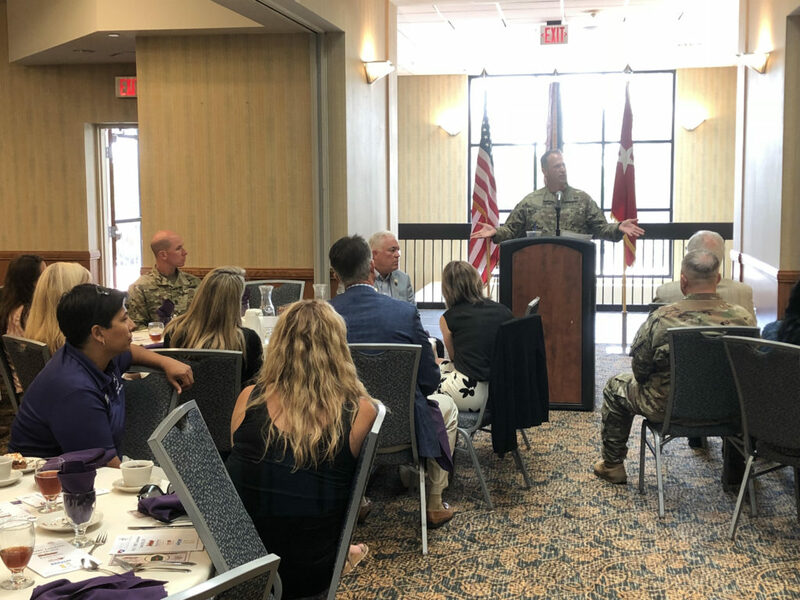 Commanding staff and community leaders gathered on Fort Riley for a luncheon put together by the Junction City Military Affairs Council and Manhattan Military Relations Committee. During lunch, attendees heard a presentation by Maj. Gen. John Kolasheski, commanding general of the 1st Infantry Division. Kolasheski highlighted the year’s achievements by subordinate units within the Division, and gave a schedule of upcoming missions Big Red One soldiers are preparing for. Following Kolasheski’s presentation, attendees heard community announcements by Fort Riley Organizations. The post Kolasheski talked 1st Infantry Division achievements at community luncheon appeared first on News Radio KMAN.